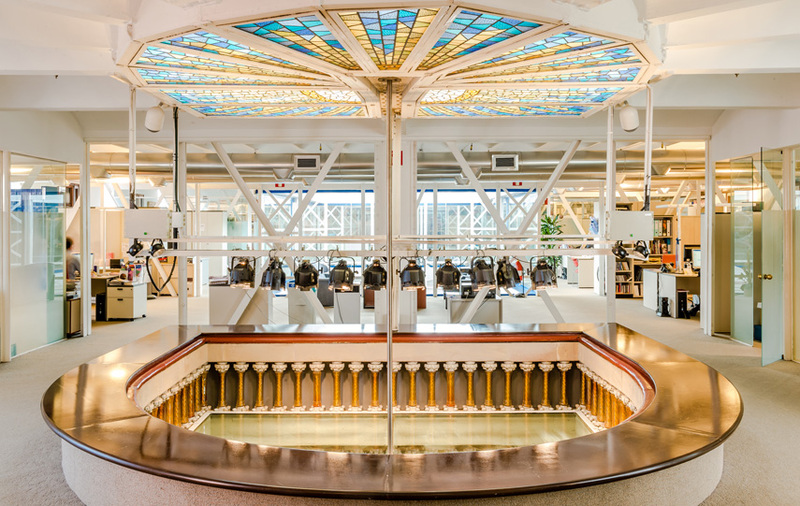 Discover the Palau de la Música Catalana, one of the world’s most unique modernist jewel with an exceptional music program. 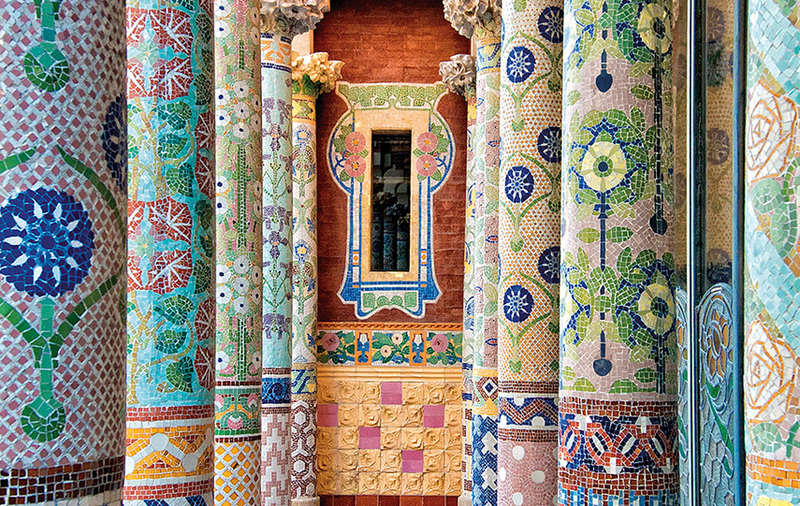 This, the architect Lluís Domènech i Montaner’s masterpiece, was built between 1905 and 1908 as the home of the Orfeó Català. 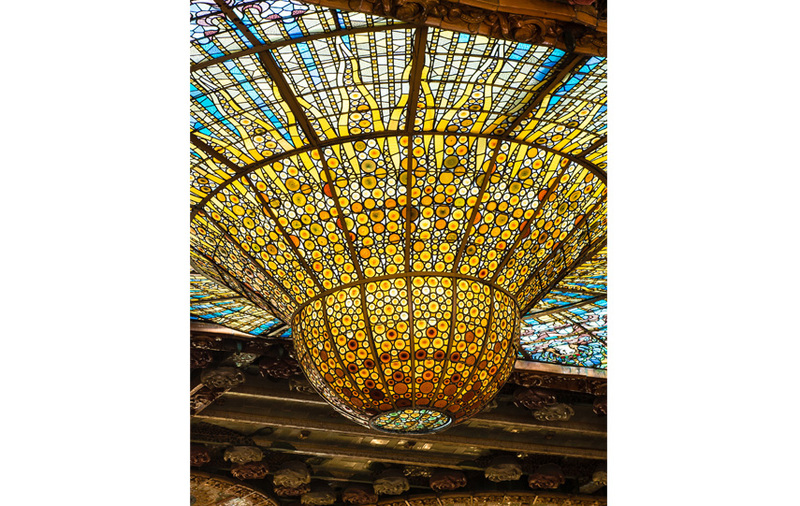 It is designed as a magical music box that combines all the applied arts: sculpture, mosaic, stained glass, ironwork. 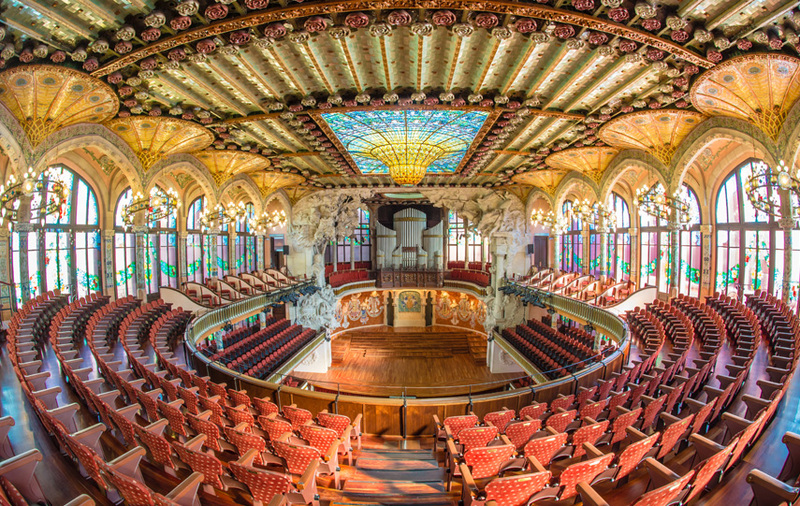 Guided tours of Palau de la Música are a must for your stay in Barcelona to discover the unique modernist concert hall heritage site by UNESCO With the Premium Tour you’ll discover the most interesting parts of the Palau, including the Concert Hall, the Lluís Millet Hall with its balcony, and the Rehearsal Room of the Orfeó Català, plus on the 6th floor (lift) the attic of the Art Nouveau building, now converted into offices, and the skylight with a view of the stage and the Concert Hall.